RENO, Nev., April 01, 2019 (GLOBE NEWSWIRE) — Filament, provider of comprehensive enterprise blockchain solutions for the Internet of Things (IoT), today announced that it has launched its new Blocklet Foundation Kit. Designed for embedded and hardware developers focused on the Internet of Things (IoT), this blockchain development kit provides hands-on experience with Filament’s Blocklet technology, and allows users to generate IoT blockchain transactions on-device and demonstrate smart contract functionality. IRVINE, Calif., March 26, 2019 (GLOBE NEWSWIRE) — The University of California, Irvine (UCI) Division of Continuing Education announced a partnership today with The Decentralized Education Nexus (The DEN) to provide formal training and certification programs for blockchain and distributed ledger technology. This partnership represents a giant step forward in the UCI Division of Continuing Education’s mission to bridge the gap between the high corporate demand for blockchain developers and low supply within the mainstream talent pool of software developers. Blockchain for Business Leaders provides professionals and entrepreneurs with a critical understanding of the technology’s fundamentals, use-cases, and effective implementation strategies based on live industry case-studies. According to IBM, “Mass adoption isn’t far behind with roughly 65 percent of banks expecting to have blockchain solutions in the next three years.” Furthermore, McKinsey has identified trade finance, cross-border B2B payments, cross-border P2P payments, repurchase agreement transactions, OTC derivatives, KYC/AML management, and identity fraud as seven bona fide use cases in which blockchain can generate $80B – $110B in impact by 2021. With industry giants like Walmart, Microsoft, and Huawei all actively utilizing blockchain technology to streamline processes and improve bottom lines, future focused companies and individuals must work to understand how it will affect their industries and how they can use it to flourish. The technology conglomerate Cisco recently released a new report on blockchain. In the report they discuss how they see the technology being used, what the advantages of blockchain are and what financial impact they expect blockchain to have on the market. 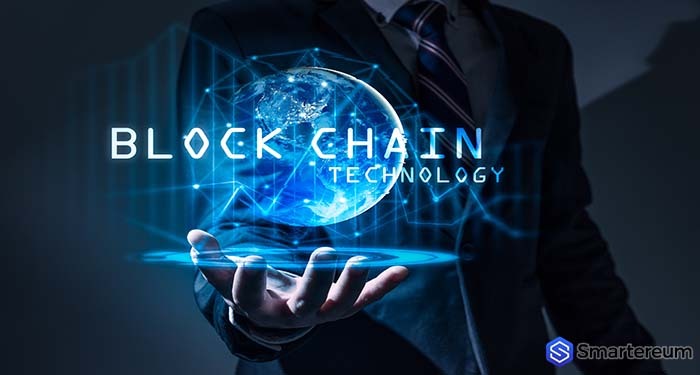 Similar to Joseph Lubin’s prediction that blockchain will capture half of the world’s wealth within the next twenty years, the Cisco report predicts that by 2027 10% of the global GDP will be stored on blockchain. Currently the global GDP is about $80 trillion. Accounting for growth and new value that blockchain is expected to add to the economy, global GDP could easily be $100 trillion by 2027. If Cisco’s report turns out to be accurate that would mean a $10 trillion crypto market is only eight years away. Since blockchain will allow a company or a customer to track a product from its creation on the factory floor till delivery at the outlet, it will be significantly easier to detect fraud, waste or theft in the supply chain. This will benefit everyone as companies save money and pass those savings on to the consumer. That’s an incredible amount of money and it stands to reason that the savings will only continue to grow as the technology matures. That’s good news for business, good news for consumers and good news for everyone in crypto. It means increased adoption, legitimacy and hopefully a return to higher prices as blockchain technology begins to get adopted.